I will start with the cons because everyone wants to know those first anyways. After I started the curriculum changed and I didn’t get to do some of the courses that were offered when I started. Which I think they shouldn’t have been taken away since it is what I paid for. But once again I won’t blame that all on them. If I had gotten done on time I probably would have had access to them. The courses. C# is an amazing language but I have found that there are more job offerings for Java and other languages than C# and .NET available. But C# is an object oriented language that makes learning other languages not too hard. The program and the Live Project isn’t as user friendly for the people who work full time jobs and have a family as well. I wasn’t able to participate as much as I wanted as I was at work when the tasks were put up and they were taken by people who don’t work. Also, waiting for responses from the instructors is a pain because you only get to submit it when you have a chance and sometimes it takes 24-48 hours to get a reply back because you’re not in person and can’t always make the phone call because of work hours and so on. I also wish that they showed us more on the user interface portion of designing and had us create apps as well. The pros are as follows. The staff is FABULOUS!! There was a couple times where I needed some serious help. I ended up calling the instructors and they were willing to walk me through some stuff. Sometimes they weren’t able to help me fix it and had to get back to me. Which is amazing that they didn’t make me sit on the phone with them while they were figuring it out as well. The courses are easy to follow. I do wish that there were transcripts to read instead of videos just in case someone isn’t available to watch the videos (I did a lot of it at work). Live project allows you to work with other people and teaches you that sometimes it’s frustrating working with other people and teaches you how to handle it. It was worth it and I think it gave me a lot of information that I will be using. I just wish that I felt more confident in my abilities and knew more languages. But I’m sure that comes with time and experience. I don’t think that if you have the right attitude, drive and desire that you would ever regret going to The Tech Academy. The Instructors are really helpful when you need help with anything. They are always there and stay in contact at all times. When you reach the Job Placement Course the Director will send you weekly job offers that are available to apply for and keeps in touch with you to be updated on how your job search is going until you get your first job. They give you all the tools you need for everything and keep contacting you to help and make sure you graduate. I enjoyed taking the courses and recommend it to anyone who can be comitted and finds a passion in programming. Another reason to choose The Tech Academy was affordability. Compared to the other programs I looked at, The Tech Academy was certainly the cheapest but I feel that this in no way reflected poorly on the value of the education that I received. These programs are certainly challenging, but are good at pushing you to develop the skills and traits needed to succeed in the tech industry, and I’d highly recommend the programs to those who are interested in becoming a programmer. Tech Academy was absolutely worth it for me. Does that guarantee it will be worth it for you too? If you only do the minimum amount of coursework and have no background in software to begin with then maybe not, but if you're motivated enough to go the extra mile and put the skills they teach you to use then it will serve you well. They teach everything you need to know to get started in IT. The most valuable thing I learned is the ability to find the answer to pretty much anything. I have a totally different mindset when presented with a problem, both inside and outside of technology. Due to the way the course is set up in preparing us to "think like programmers," I am much more adept at solving issues than previously. It took longer to land a job than I anticipated. I guess I was one of the late bloomers, having graduated just over 6 months ago. Nevertheless, I didn't despair but kept moving forward, continuing to gain knowledge and experience. It has sure paid off! 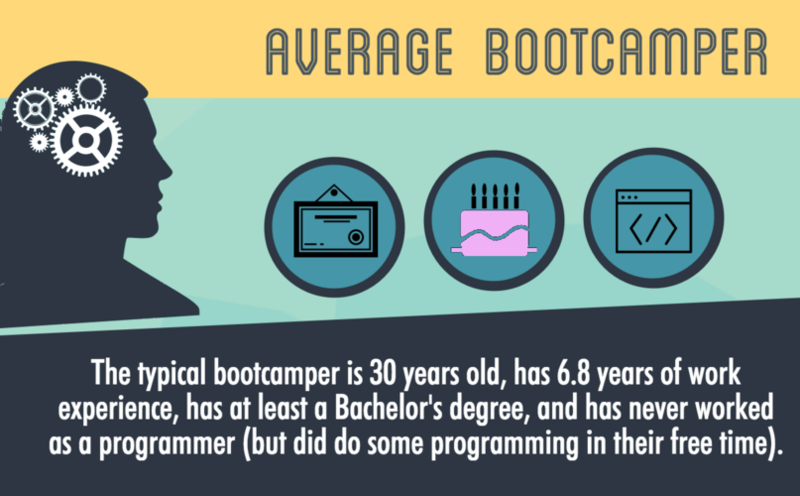 If I had the chance to do it again and the full Software Developer Bootcamp (with 4 live projects) was available, I would definitely choose that one. There is absolutely no substitute for producing your own code and contributing in a team environment. Like you, I read a ton of reviews before deciding to go with Tech Academy. But I was fortunate to also have friends who had attended and gotten jobs. In other words, I had a handful of personal referrals. The staff are friendly, supportive, and typically, very knowledgeable. The program is broad and provides a lot of valuable information giving you a solid foundation to learn more as a developer. You can attend on a hybrid basis (study in one of their many campuses AND online). Sure, it was still a risk. I didn't know if results were typical. I read one review stating that the bootcamp was pretty darn tough. So I went in expecting complexity, grueling work, and little social interaction. I was fortunate to have a mother-in-law who lives right by the HQ in Portland who offered to let me stay at her place. She showed me how to get around and so I was able to take advantage of all the HQ has to offer (highly recommended). Getting started felt slow. In fact, I felt like I was dragging my behind. Chatting and connecting with other students who were ahead of me incentivized me to push on and get through. You actually start programming on the second course, and doing that felt incredible. The final course was C#. I got halfway through the course before I finally understood what object-oriented-programming was. Let me give this advice now, comprehend that concept before and during the course. If you can get the relationship between objects and classes, you'll have a much better time on it. I actually saw one student leave while at the very end of C#, her final course. Wow! What a waste of time and effort. She was so close to completing and getting to job placement. I'm willing to bet she didn't understand the concept, "object-oriented-programming". I got my job from on the 415th resume I sent out. But, it wasn't the resume that did the trick, I followed up and that got the Tech Lead's attention. I spent the next 3 days researching and trying it out. I watched loads of YouTube videos and read a ton of instructional articles. That's what The Tech Academy does, it sets you up so you can do the research and coding by yourself. It sets you up so you can learn. That weekend I completed the coding challenge. A few days later I had a face-to-face interview. My new boss said I passed the challenge with flying colors! I followed up a few days later with some references (as instructed by the Job Placement course). I had recently completed an additional coding project and added that to my resume giving him a link. And here I am today. I can confidently say, I would not have gotten this job or even known how to find this opportunity without The Tech Academy. They will help you put on your developer boots. But you have to be a big boy (or girl) and take your own steps as a developer. You'll be scared while sending out resumes. You'll get turned down. I've had at least 15 interviews, and I failed 14 out of them! But I learned from each and got better. I was constantly testing and improving. I'm not the smartest guy. I don't have a ton of experience. But if I can do it, you can too. I am 32 years old. Within 6 months, I went from not knowing much to landing a job on my 2nd job interview with a starting salary of 50k a year as a junior .NET developer. They are great and will do whatever it takes to help you accomplish what you need. Listen to their advice, and apply it. The boot camp really is what you make of it, and you get what you put into it. I highly recommend this Bootcamp for its support and interview assistance. I literally emailed Tyler the day before my interview and he followed up with me THAT day and we practiced a mock interview, anytime I would need it. I literally had ON CALL interview practice when I needed it most. I would highly recommend doing exactly what they tell you, and also working on personal projects as much as you can to apply what they are teaching you. Don't be scared of the time limit. Just go for it and learn as hard as you can. They are there for you, they are not going to let you fail as long as you are trying your best! One reason I chose the Tech Academy out of the many boot camps available to me in the Denver area was first the cost. The Tech Academy was by far the cheapest coding boot camp but that does not reflect the worth of the education they've given me. The education was far more valuable than the price tag. This education was by FAR the cheapest I've ever paid for but is only education that actually paid off as well. The second reason and most important was the flexibility. I was not in a position where I could completely stop working. While I was attending I was still working. The course I took was completely self-paced which allowed me to finish my education while still working. I also did not have to be at a campus every day which also would have been impossible with my work schedule so I completed it entirely remotely. The third reason was the importance of building a good portfolio. I had no prior experience in the tech industry. My knowledge of coding was very limited and I do not have a degree which made having a great portfolio to show potential employers extremely important to me. I met with Denver's campus dean and we talked about what the Tech Academy does to help build a great portfolio. After attending the course I can assure you they will put building a great portfolio as one of their top priorities. After graduating from the Tech Academy I spent about a month on the job hunt before landing my first job as a software developer. Before you get too excited just a warning. This was NOT easy. I received a lot of rejections before getting my first offer. 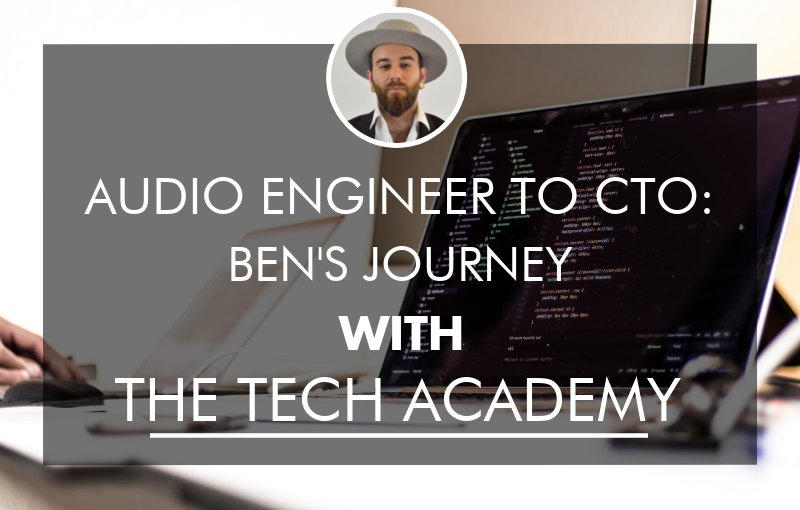 This was an absolute grind trying to learn all of the skills needed to be a software developer but the Tech Academy will help get you there. My favorite part of the whole course that differs from other bootcamps is the Live Project. You work in a small team on a project that others have previously worked on. You use the SCRUM methodology which is widely used. Mike Strunk was my lead on that project and I couldn't thank him enough. He made the whole experience wonderful and got to know how it would be to work in the industry. I would reccomend this to anyone who is looking to break into the tech industry. Also they do a good job of keeping in touch with you after finishing to make sure you find a job. Tyler Helm was done a wonderful job on making sure that I finished out and graduated! I'll be honest. In hindsight I could have tried cheaper ways to become a programmer/software developer, but I don't think it would have made me dedicated enough to make it. So there is something to be said about investment of money and time correlating with dedication which is also stressed in the bootcamp. The staff are very helpful and nice although doing the course online made me look things up more by myself, which is just as well, because that's what one will do anyway on the job. Overall it is a good bootcamp which gives you an initial push towards the world of software development. If you don't like this course because it is too hard and give up, you also won't like programming, where you might feel like giving up every day. But there is plenty of encouragement and practice interviews for newbies like me and it can be done and you too can find a job. The curiculum The Tech Academy offers is a solid, self paced course broken up by subject to make sure you fully understand each skill before moving to the next. The course will cover the fundementals of front-end, how to use file sharing and version control such as Github to it's work enviroment potential, and ends with covering in depth on a backend language. The instructors are THE best resource The Tech Academy has to offer. They are knowledgable and almost always available to help you when you have questions. But not only that, they do not just tell you the answer, instead help you work through the issue. This little piece is what creates good developers as you learn the skill of active problem solving. Meetups and round tables! Every week, students are able to take advantage of workshop activites, such as practice interviews which help build student's confidence in answering interview questions, and solve whiteboard code questions. Along with that, every friday The Tech Academy has a different guest speaker to talk about different fields in the tech industry. In all honesty, the hardware provided if you don't have your own laptop is a bit subpar. Each desk has a monitor if the student wishes to have a second screen. However, they are rather old and the resolution is not all that good. I really do reccomend this bootcamp, and any faults that it has are minor and can be over looked. Especially with it's extra curicular resources like the instructors and workshops. While they don't guarentee a job or internship like some other bootcamps, they do give you all the tools you'll ever need and more to land a position if you are committed. The Tech Academy's C# and .NET boot camp was a fantastic program. This program is structured for people like me who had never coded to being able to construct real software applications. It was very organized and had exceptionally great videos that walked you through learning how to code. The Tech Academy staff is absolutely amazing. The teachers and advisors were always there to answer any questions I had throughout the duration of my program. Cole Dixon at the Denver Campus was an outstanding, helpful instructor that really went above and beyond for his students. I never had to wait for long for an answer to a question or feedback on code review. The job placement course really helped build your resume and truly prepares you for the interview process. Coming out of the the program I felt confident in my new found abilities and skills to succeed in the software industry. 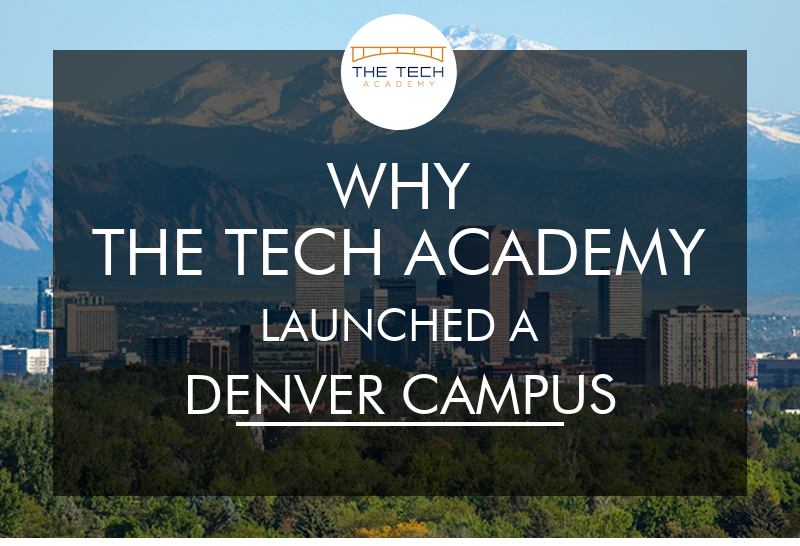 I am so happy that I chose The Tech Academy and I'm excited to start my new role as a Software Engineer here in Denver, CO! Over the past 5 years I've done a number of free and paid coding programs including Codeacademy and Team Treehouse. Most of my learning was incomplete because I didn't have a good foundation in computer science or programming in general. This program helped fill most of the gaps that I had in the fundamentals of programming. By the end of the program I was able to quickly stand up a working web application in C# using the MVC framework and troubleshoot my code and others' code very efficiently. The most helpful part of the program was that every course flowed and tied into the next, aiming to paint a holistic picture of each discipline within programming as it's related to the whole. Now employed on a large team of engineers, I feel confident that what I learned during my time in the program gave me the best foot into software I could hope for without coming from a formal CS/engineering background. 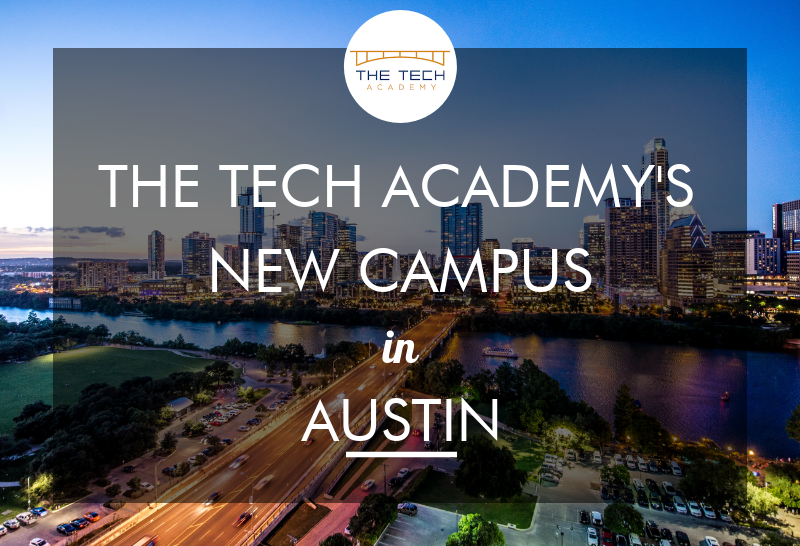 I would definitely recommend The Tech Academy! The schools staff and instructors are easily approachable and eager to help. It's obvious they want you to succeed, which is very encouraging when working through some of the more techinical courses. As a remote student there was never a time my call wasn't picked up by one of the remote instructors, and the job placement directors were constantly emailing me lists of open positions to apply for. My experience at The Tech Academy was extremely positive, from start to finish. I had some reservations as a remote student working full-time, but the staff and instructors were extremely supportive through every step of the way. The course itself starts from zero, but is comprehensive in a way that introduces new concepts but also provides challenging, practical assignments to make sure you understand how to utilize them properly. Working as part of a live team for one the final steps of the training is a lot of fun - I was remote, but felt present and definitely part of the group with my contributions and daily check-ins. Although I wasn't able to utilize the job placement assistance to it's fullest extent (I was taking this course to prepare for an inter-company movement), having gone through the exercises and material, I felt that it was top-notch, providing structure/tools/goals for the students. Great overall experience, was able to get off the ground running with my programming skills and be employed within 3 months of beginning the program. The Live Project portion of the program was by far my favorite, and where the Academy really shines. Would reccomend to anyone interested in a relatively quick education with great instructors and tons of hands-on coding. Aja, Chris G, Jordan and Aaron all rock! My time at the The Tech Academy in Seattle was enjoyable and thorough. It is smaller than their main campus in Portland, and I was amongst the first group of just 4 or 5 students beginning there on their opening, I believe its grown some since then but its a smaller environment so you can get some more personalized attention, especially compared to the bigger bootcamps. The Tech Academy and it's staff care about your success, and will help you as much as they can in order to succeed in both the curriculum and afterwards. For me I had planned on trying to finish the bootcamp a little quicker to go on a trip before the summer, but things happened and they were kind enough to make an exception, but overall it will be the best benefit to do the content thoroughly and at as fast as pace as possible. Content wise, overall it is very good, and is updated often, there was some restructure as I did it before they split it into these more specific C#/Python tracts. It could be different now, but I do wish there was more emphasis on Algorithms, especially considering many companies interview based on your knowledge of such things, and problem solving as you go through the interview rounds. Coding is not easy, finding your first job is especially not easy, but the Tech Academy will give you the right foundation and they do really want you to succeed. Since the campus in Seattle is newer and not as established, they don't have as many connections to local companies as say, their main one in Portland. The Tech Academy's C# and .NET boot camp was a fantastic experience. The curriculum starts slow with some essential, basic computer terminology and moves into the basics of computing. From there, it starts getting into actual coding, programming languages, etc. It was the perfect pace for someone who never seriously approached programming. 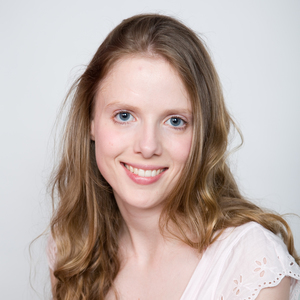 It was the schooling that I had ever taken online and I was worried about support and feedback from the professors. The Tech Academy's staff was always quick to respond and used all resources available to help me out whenever I had trouble understanding something or just had a simple question. All in all, I would recommend this bootcamp to anybody. I completed the C# and .NET Framework boot camp several years ago. The structure is nicely organized and balanced with reading, videos and then doing it yourself. Plenty of practical exercises. All the software installation and computer setup was part of the training too, just as it would be on the job. Upon completing I received several job offers and have been gainfully employed with a great company since then. I highly recommend it for anyone looking at code camps! I had a wonderful experience attending The Tech Academy in Portland, Oregon. From the start, I could tell how dedicated all the instructors were to ensuring my success. I liked that the curriculum started off with fundamentals to ensure understanding and clarify some things I rarely thought about. The courses are dense with information but delivered in a way that is easy to understand. The projects are challenging, which makes them very satisfying to complete. It was great to attend locally so I could learn along with people that shared my passion for learning coding. The camaraderie is great and it is a generally positive atmosphere - especially on brunch days! The job placement part of the boot camp was the most challenging, but luckily the job placement staff is extremely dedicated and knowledgeable. I recommend attending every round table to get the most out of it. 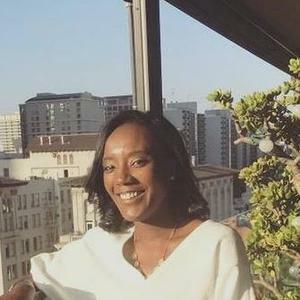 The most surprising part of attending The Tech Academy was how much I learned after I graduated and started my career as a software developer. I feel like The Tech Academy really set me up to succeed by being able to learn any new technological concept quickly. I recommend doing yourself a favor and changing your life by attending this coding school. I have done a few online course from siteslike lynda.com, udemy.com and others. So, I can say I have some perspective online courses. The advanges of The Tech Acadamy are the instructors you can talk to and the gradual approch to teaching things that makes it easy to learn new stuff outside of the course. Whiich is curtial as a programmer. I found myself reading things that before was just gobbledygook thanks to the first two courses of this bootcamp. It doesn't over teach things that are pointless or just theory for it's own sake. It actually teaches you what you need to know to understand what you are doing. Ive always wanted to be a software developer, from when was a kid trying playing with Hexidecmial editors and my friends Commodore 64. I spent a lot of time researching and looking for a good coding school in Portland, Oregon. What drew me to The Tech Academy was the job placement program they offered, and the extensive amount of software languages you learn. After completing the program, I can honestly say I am a software developer. I will refer anyone who is intrested in software development to have a serious look at The Tech Academy and see if it is the path you want to take. The Tech Academy does a great job at staying in communication with the students throughout the process, building a support network and sense of community from day one. The course content is good but the most important thing I learned from the boot-camp is how to learn, meaning I can grow my skills better even without the school. I chose to attend the Tech Academy after much consideration and careful research of many (MANY) other boot camps and programs. I was not disappointed with my choice! 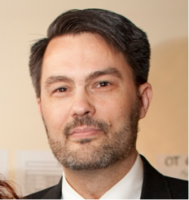 The Tech Academy not only filled in the gaps of my self-taught knowledge, but the course taught me to think and build software like an engineer. On top of the comprehensive, challenging, and well-structured software curriculum I learned an equal amount about the importance of networking and the job hunt. Coming out of the program I felt confident in my new found abilities and excited for the work ahead of me!